Sun Belt coaches praise Neal Brown's ability to adapt his offense to the strengths of different quarterbacks at Troy. 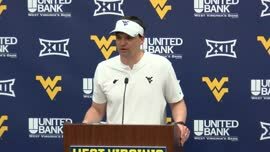 West Virginia fans will catch their first official glimpse of new coach Neal Brown when he is introduced as the Mountaineers 35th head coach on Thursday morning. 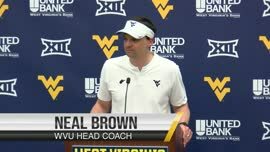 While they’re certain to get familiar with Brown’s personality in the coming weeks, it will still be an anxious nine-month wait before anyone sees what his football team will look like. Fortunately, his former foes in the Sun Belt Conference have a pretty good idea of what fans should expect from the Mountaineers this fall. Though interviewed separately, Arkansas State coach Blake Anderson and Louisiana-Monroe coach Matt Viator immediately mentioned the same characteristic to summarize Brown’s Troy teams. Anderson, who has coached Arkansas State since 2014, had a similar assessment. “They always play tough. Hard-nosed team,” Anderson said. “They don’t make a lot of mistakes. He does a good job of eliminating mistakes. 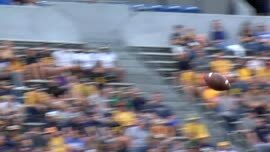 Even though he’s a spread guy, there’s a physical aspect on both sides of the ball. Viator said it’s clear that Brown gets maximum effort out of his teams, who are a perfect 3-0 in bowl appearances. That includes this year’s 42-32 comeback win over Buffalo in the Dollar General Bowl. Half of Troy’s points were scored in the fourth quarter. Schematically, Brown builds his offense around his players rather than trying to fit square pegs into round holes. The Trojans went into the season needing to replace four-year starter Brandon Silvers, who was a traditional drop-back passer. They did so with dual-threat Kaleb Barker, adjusting the playbook accordingly. When Barker got hurt midseason, Brown had to adjust on the fly to another pocket passer. But rather than going back to the pass-first attack they had known with Silvers at quarterback, the Trojans did a lot of running out of the pistol formation. Troy exceeded 40 carries in three straight November games. Defensively, Anderson is plenty familiar with coordinator Vic Koenning. 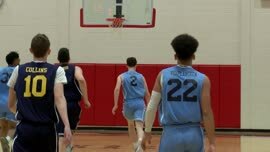 The duo worked together at North Carolina in addition to facing one another in 2016 and ’17. (The Sun Belt has an unbalanced conference schedule). The Trojans usually played with three traditional down linemen and a defensive end/linebacker hybrid who effectively game them a four-man front. Viator said Troy was often outsized up front – particularly in upset wins over LSU and Nebraska – but frequently confused opposing offensive linemen. 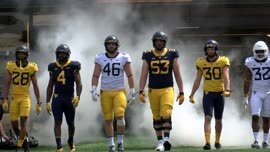 Both Anderson and Viator expect the on-field product to be strong at West Virginia, though they also expect that it is off the field where Mountaineer fans will take the strongest liking to their new coach.